In The Oslo Diaries, a riveting account of 1100 days of secret talks as told by the people who were there at the table. The participants’ detailed and often emotional entries recount the political intrigue, fiery rhetoric, unlikely friendships, and overwhelming desire for peace that were the heart of the negotiations. 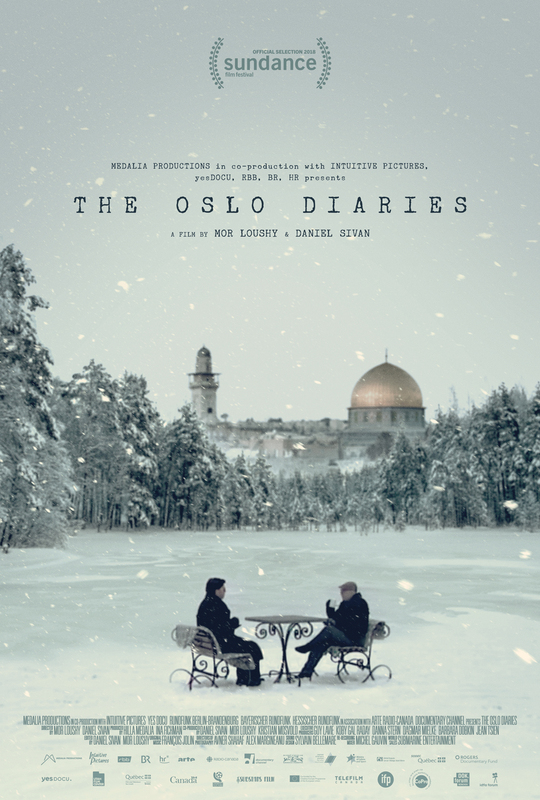 Featuring never-before-seen footage and exclusive interviews with key players – including the last on-camera conversation with former Israeli president Shimon Peres – the film recounts a geopolitical story, with a narrative voice that is personal and philosophical. Although politics ultimately doomed The Oslo Accords, the story’s end for the people of Israel and Palestine remains unwritten. Film directed by Mor Loushy and Daniel Sivan. Shlomo Ben Ami is an academic and a politician–expert on the Israeli-Palestinian peace process and, separately, on the rise of fascism in Spain. Ben Ami became Israel’s Foreign Minister in 2000. As such, he conducted the secret negotiations with Abu Ala in Stockholm (The Swedish Channel); participated with Prime Minister Barak in the Camp David Summit; after which he led the Israeli team in all the different phases of the negotiations with the Palestinians, including at Taba, during the last two years of the Clinton administration. In 1987, Ben Ami was appointed as Israel’s first Ambassador to Spain, where he served until December 1991, when he joined Israel’s delegation to the Madrid Peace Conference. In 1993, he headed the Israeli delegation at the Multilateral Talks on Refugees in the Middle East held in Ottawa, Canada. Ben Ami also served as a member of the international board of The International Crisis Group, is a special advisor to the United States Middle East Project, and was recently invited by (former) President Santos to serve as a special advisor to the Colombian government on the peace process with the FARC guerrilla. Professor Ben Ami served as a member of Knesset and in Ministerial positions, has been a visiting scholar in various US and European universities, wrote numerous books and continues to be a regular contributor to the media and advisor to governments. James Sebenius is an authority on complex negotiations who has advanced the field in the academic realm, in the public and diplomatic sectors, and the business world; outside Harvard, he has worked full-time in the U.S. Commerce and State Departments as well as at the Blackstone Group. At the Harvard Business School, Sebenius spearheaded the effort to make negotiation a required course in the M.B.A. program, and he created the negotiation department, which he led for several years. As a co-founder of Lax Sebenius LLC, he provides negotiation advisory services to corporations and governments worldwide.